Tourism industry always brings huge profits for Hong Kong' economic. In recent years, the SAR government is trying hard to develop and open up new tourist spots and international exhibition venues, to ensure that Hong Kong becomes a more popular visiting place for tourists. 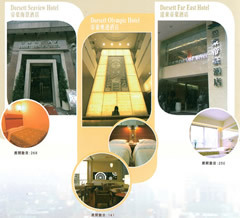 A large number of tourists visit to Hong Kong caused the increasing of the importance of hotel’s hospitality services .The industry is desired for the higher qualities of hotel employees. 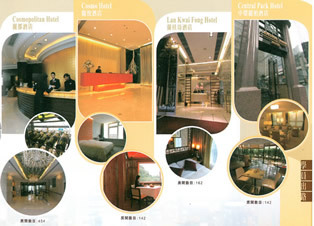 According to the Hong Kong Hotels Association’s information, Hong Kong's hotels had increased its’ quantities to 5000 and 53,000 for the total amount of rooms till the end of year 2006; approx 15,000 of new increased job opportunities and there will be a higher amount of its expectation. The hotel industry continues to be one of the most important parts of Hong Kong's economic development in the future and the hotel's employees are all looking forward for the future of the industry. The Industry worries for talents shortage will affect the service quality directly although there is good development in the industry at the moment. The form of Asia International Hotel Management Academy is purposed to provide training for people that interested in becoming future talents with world class standard of service skills in hotel hospitality industry. Besides that, we also provide the employees different kinds of skills upgrading course to meet the direction of Hong Kong SAR Government’s economic development. All of the courses have designed by the professors or well- experienced employees from the industry to ensure that the course structure is up-to-date with the society development. The Far East Development Co., Ltd. (Hong Kong Stock Exchange code: 0035) which has the largest hotel network in Hong Kong arranges the Internship opportunities that with allowance for students; Besides that, we invite hotel staffs come to the academy as guest lecturers to share their personal experience and the skills for the problems settlement, hope that this will help the students for their career development. enhance employment opportunities for trainees, hotel will also send staffs to the school as guest lecturers to share personal experience and skills. There are graduates that pass through the recruitment interview will get priority to join the hotels that located in Hong Kong, Macao or mainland China belong to Far East Development Co. Ltd. Becoming the all- round academy that provides the students professional training , practical internship and career opportunities.